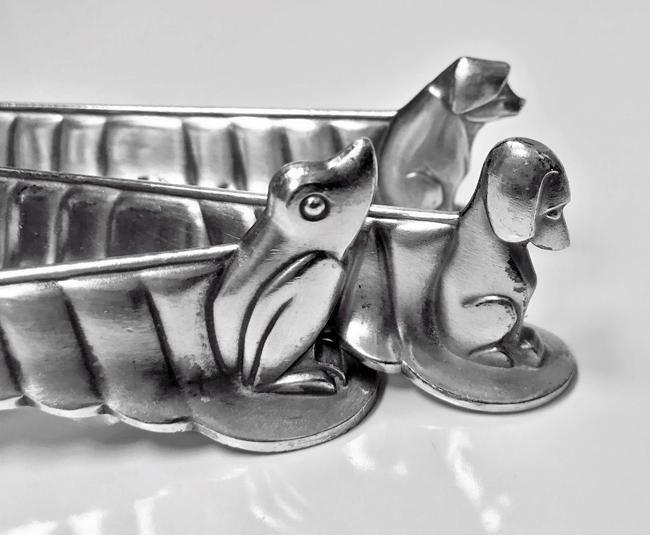 Set of 6 WMF Art Deco silver plate Animal Knife rests, Germany C.1920. 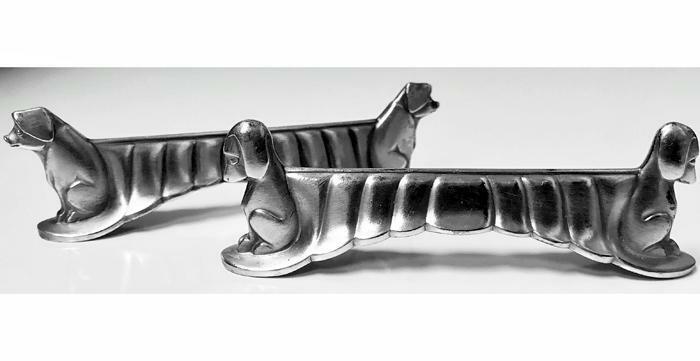 The knife rests depicting monkey, frog, pelican, duck, dash hound and pig respectively. WMF I/0 marks. 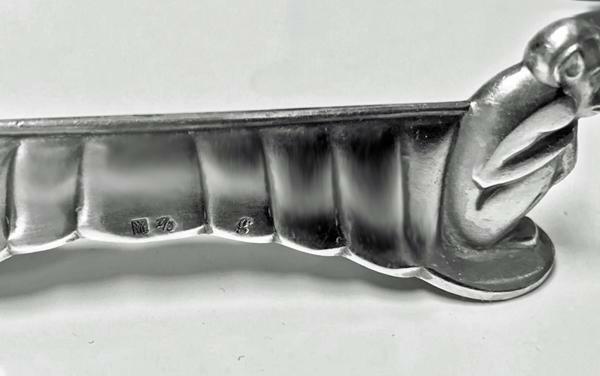 Length: 9.7 cm.